Mold grows and thrives in environments that are moist, dark, and humid. 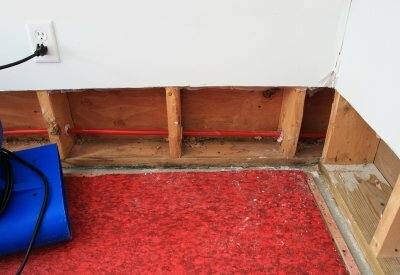 For this reason, basements, particularly ones with water leaks or water damage in The Hamptons , are the perfect environments for mold growth. If you notice mold symptoms or signs in your basement, you should immediately contact a mold removal specialist to perform a mold inspection and mold remediation. You should also waterproof your basement to protect it from further mold growth. One of the first mold symptoms or signs that you will notice is the smell. Most basements don’t have very good ventilation or air circulation, and the air will smell stagnant, earthy, and musty. You may see visible signs of mold growth, but because mold often grows in walls or behind appliances or cabinetry, it can be difficult to spot. You may also notice that you have respiratory issues or allergy symptoms that are worse when you’re in your home. 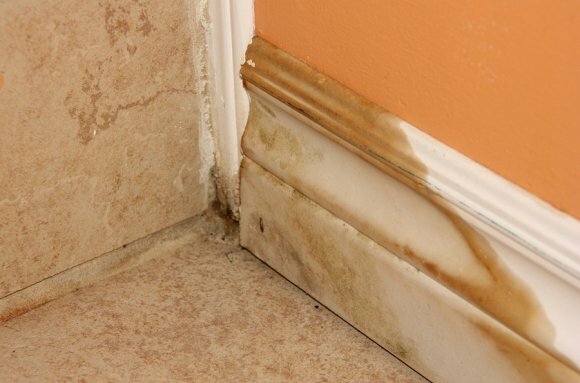 Another sign that you may have or be vulnerable to a mold infestation is signs of water damage on your walls or floors. Call a mold remediation company in Long Island if you notice water stains, discoloration, and peeling, bubbling, or cracking of the paint, plaster, or wallpaper. Mold grows in damp, cool environments, making basements with water damage or water leaks the perfect place for mold growth. All mold infestations can cause dangerous health problems to the residents of the home. 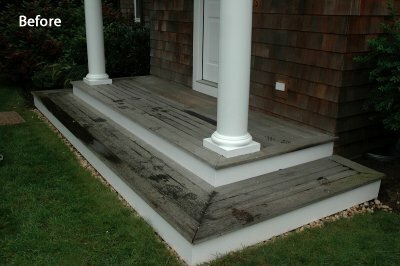 This is why it’s crucial to waterproof your basement and use professional services for mold removal in The Hamptons . Here is a look at the different types of mold that your home and health may be vulnerable to. Aspergillus is a genus that is made up of hundreds of different species of mold that can be found in various environments and climates around the world. This mold can be found on food, in air conditioning vents or swamp coolers, and basements. If your home has a mold infestation, the mold spores become airborne and you and your family will breathe them in whenever you’re in the home. For those who are ill, have damaged lungs, have a weakened immune system, or suffer from allergies, asthma or other respiratory problems, aspergillus spores can cause serious diseases and illnesses. Cladosporium is a genus that is made up of many indoor and outdoor molds. This mold is typically black, brown, or green, and when it grows indoors, it typically grows on toilets, painted surfaces, and air ducts. This type of mold can cause infections of the skin and toenails, as well as pulmonary infections and sinusitis. If untreated, these infections can develop into respiratory infections, such as pneumonia. When cladosporium spores are airborne, they are significant allergens and can cause severe reactions in those who have respiratory diseases or are asthmatic. Stachybotrys is a genus of mold that includes the species Stachybotrys chlorohalonata and Stachybotrys chartarum, which are both known as “black mold.” Black mold grows in water damaged areas, such as basements, inside or on walls that have suffered from water damage, and in or around showers, bathtubs, and toilets. Black mold is dark green or black, gelatinous, and slimy. It can cause immune system suppression, respiratory problems, skin inflammation, and damage to organs. Black mold thrives in dark, damp, humid environments—which means basements with water leaks or water damage are the perfect places for mold to grow. If you think you have water damage in your basement, you should find a mold remediation expert in Long Island who can waterproof your basement in The Hamptons to prevent mold growth. Black mold can cause serious health issues, including respiratory problems, pneumonia, asthma, and other illnesses and diseases. To protect the health of your family, schedule a mold inspection with a mold removal company to ensure your home is free of mold, and seek medical attention if you or anyone in your home is experiencing the signs of black mold exposure seen in this video. All molds have the potential to cause serious health problems, and a mold infestation in your home can make your family very vulnerable to illness. If you see mold or black mold symptoms in your home and are worried that your house is suffering from an infestation of mold, you need to seek help from a professional mold remediation company serving Long Island and The Hamptons. Here is a look at the steps of the mold remediation process and why it’s important to trust mold remediation to the pros. Mold and mildew grow in damp spaces, so water damage or a water leak in your home provides the perfect environment for mold growth. A mold remediation professional will first identify the source of mold growth, and then repair any water leaks or water damage. He will then isolate the contaminated area to ensure that no mold spores can travel into other areas of the house during the mold removal process. Any materials that are wet or have become moldy must be removed from your home to ensure that there is no further mold growth. Your mold removal specialist will double bag these materials in plastic bags, tie them shut, clean the outsides of the bags, and throw them away in outdoor trash cans. At this point, your mold remediation specialist can begin the cleaning and mold removal process. He will clean all mold infested non-porous and wood materials with a wire brush and a special cleaning solution. If there is a severe mold infestation, he will also vacuum all surfaces with a HEPA vacuum prior to cleaning. After finishing mold removal, the mold remediation company should verify that the process was successful. Your mold removal expert will revisit your home shortly after mold remediation is complete to do a visibility test to ensure all mold has been removed, and verify that there are no further leaks or water damage.